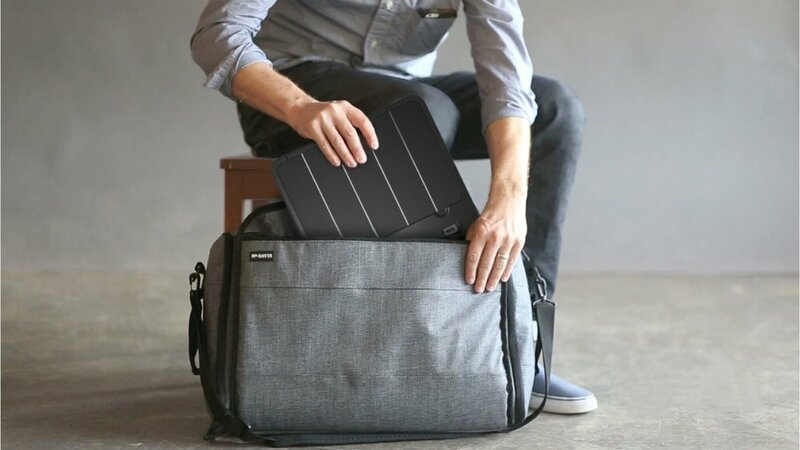 The world's first smart solar charger. Solar-powered living in the city is also a challenge, especially for people in condos. Jenni generates energy during the day, so you can charge your technology as usual. Connect to a growing, responsible community. Start your renewable journey today! Access to energy in Northern Canada is a major issue and hindrance to economic development. Many remote fly-in communities are not accessible by road year-round making large-scale energy infrastructure logistically challenging. We would also like to bring Jenni to the North and other remote regions around the world, connect with us to learn more and help. Current energy resources aren't sustainable for the planet, yet renewable energy isn't easily accessible or affordable to most. Climate change has increased the risk of power disruptions. Being solely dependent on the grid leaves many unprepared for outages. Other solar products with a battery for storage don't provide feedback to what is happening, which makes it hard to manage and build on. Unlock the potential of your energy. Access the benefits of energy storage and renewable power in a way that works for you, made affordable and simple to use. Catch up with friends in the comforts of your home from energy you generated from the sun. Living and working in the sky isn't always easy, but it has its benefits. For one, awesome views. 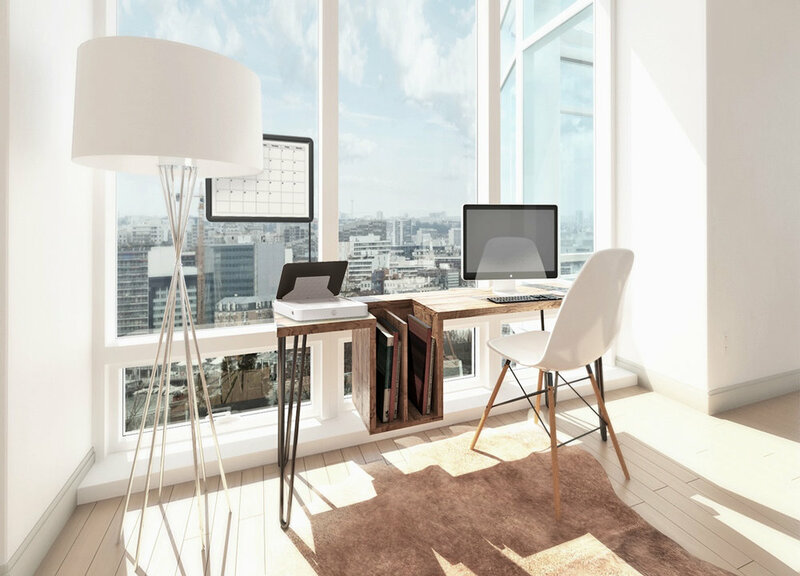 With lots of natural light, condos and offices are great places to capture the sun's energy. You work hard to outfit your place to look good and represent who you are. Showoff your clean tech with a presentable feature sure to be a conversation starter and get used when friends come over. 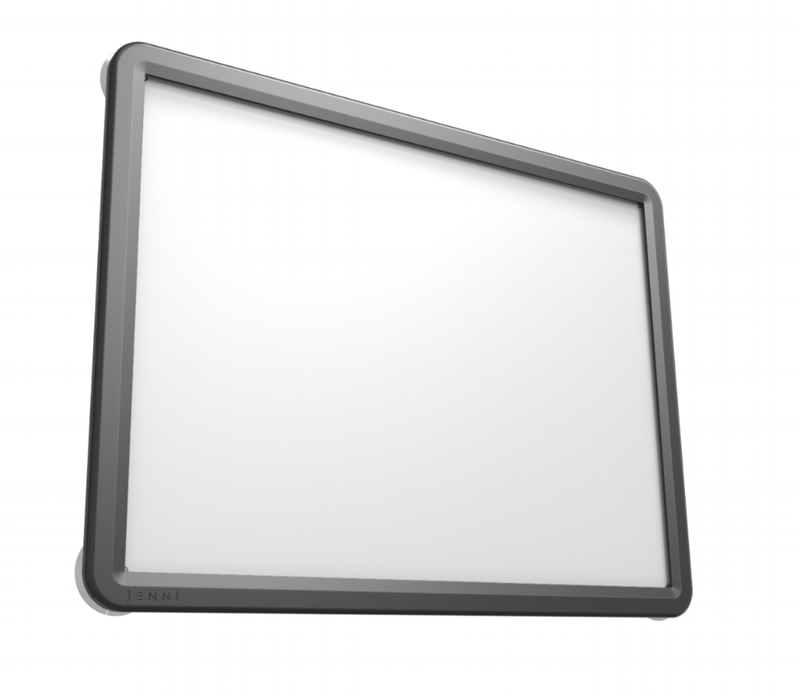 While generating energy inside, the window-mounted solar panel offers a blank canvas for customizing as you see fit. You value your independence. You like knowing you're prepared for the unexpected, free to go anywhere, and consume clean energy on your terms. Education is the most important tool to creating a better world. Make sure you have a sustainable and clean energy source to keep your family and communities powered up and continuously learning. Stay in touch with the people who matter the most. 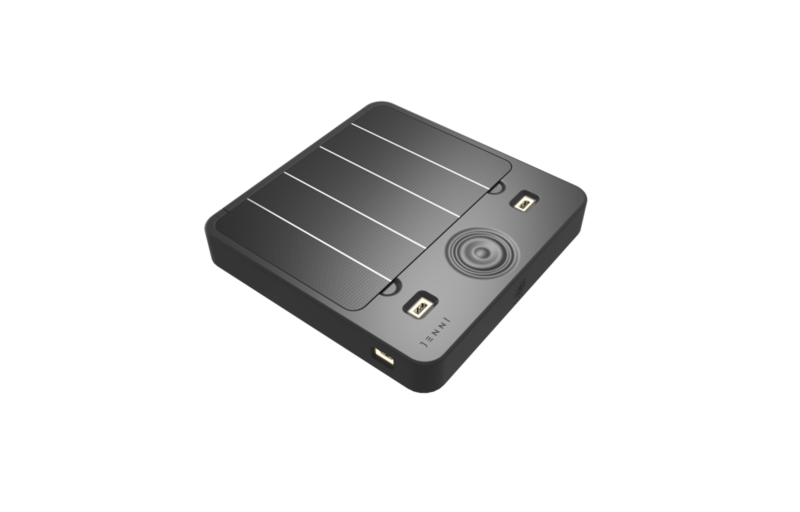 Wirelessly charge your inductive-powered phone by simply placing it on the charging pad. 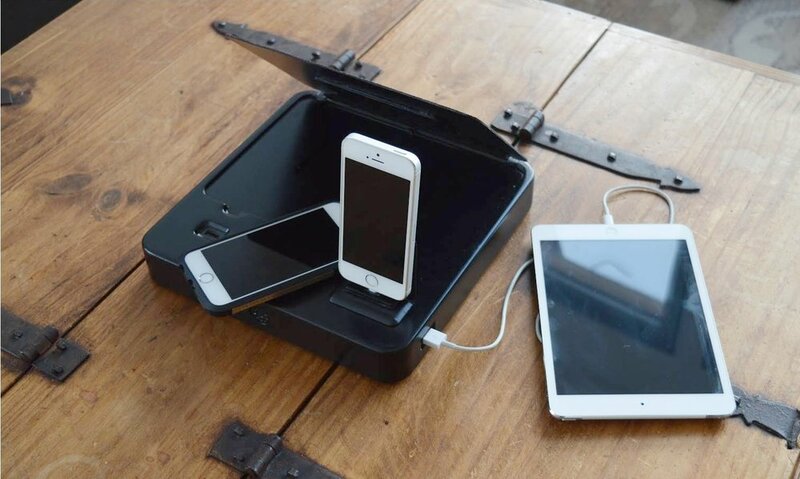 With no need for cables, Jenni creates the ideal clutter-free charging zone for all your devices. 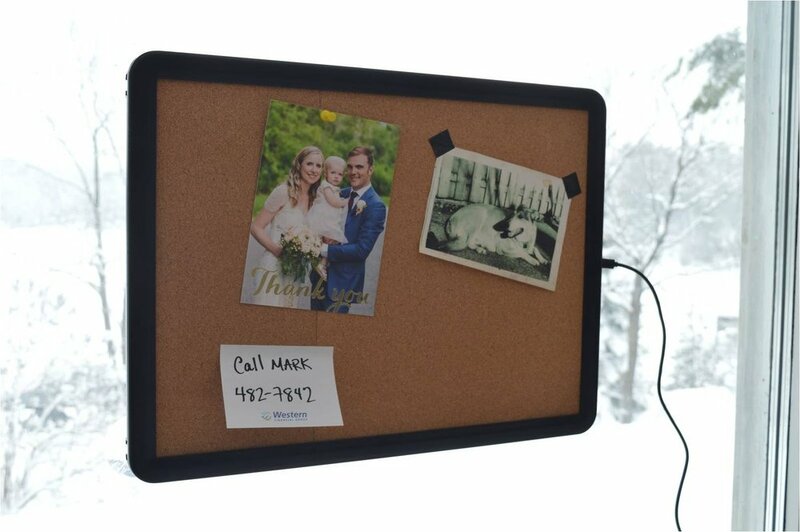 Dock a phone or tablet and use it as a display stand or clock. Make the most of free energy shining through the window. 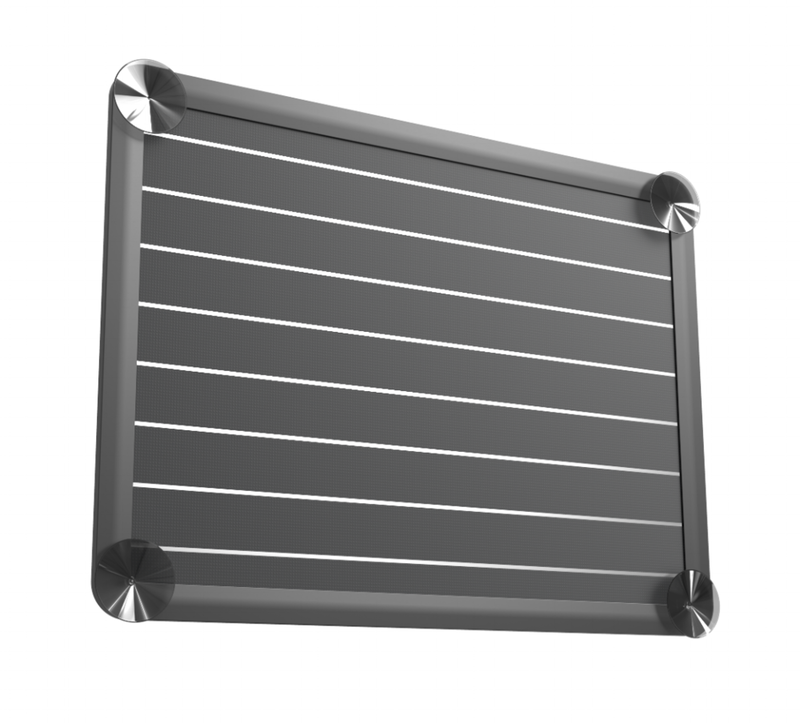 While the solar panel faces outward, on the inside the picture frame design reminds you of what's valuable. Always know how much power you have, solar you're using, and impacts you're making, as well as the entire community, from the palm of your hand. How much energy Jenni has ready for you. How much sun Jenni is getting. The amount of Jenni’s stored, available energy that is solar. The time it will take Jenni to fully recharge from the sun. Your solar activity compared to the community over time. 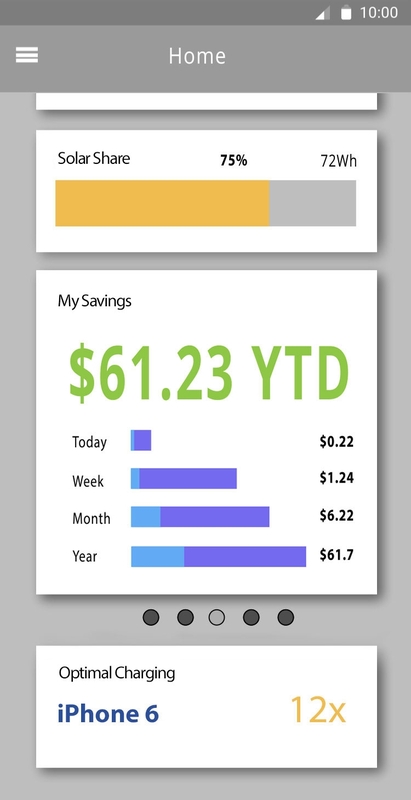 An internal computer automatically controls where Jenni gets her energy based on availability of sun, usage patterns and time of day. She helps you get the most from your solar with real-time feedback and offers an Open REST API to build into your smart home. 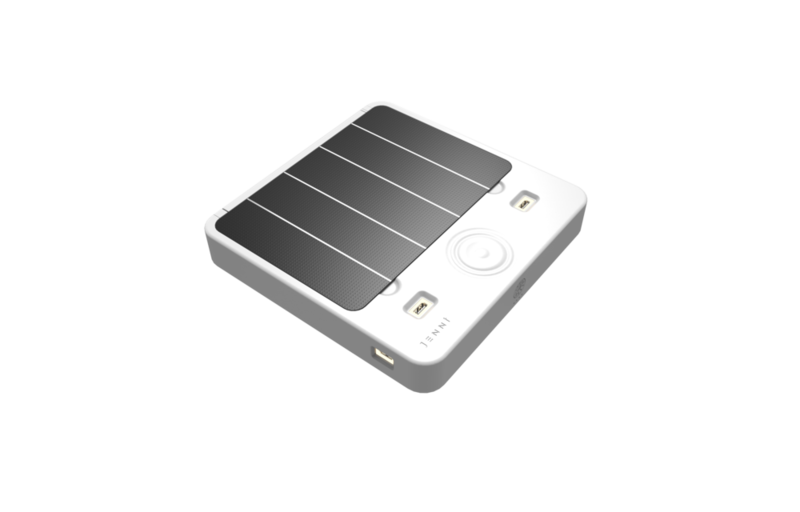 Comes with an adjustable, friction hinge solar panel that provides enough power to recharge your phone in less than 2 hours. 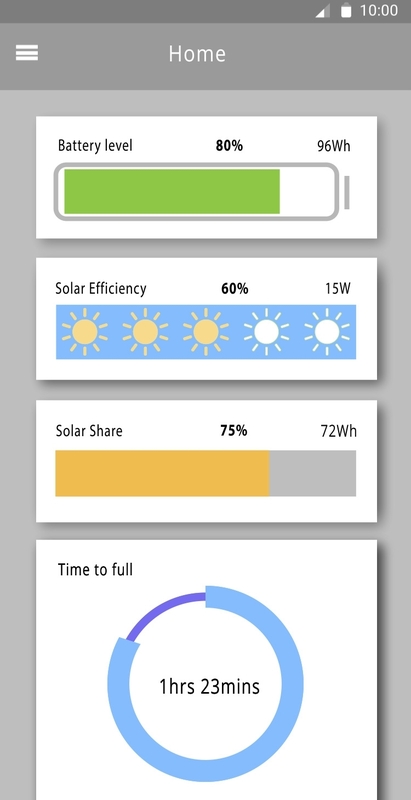 Add more solar power by plugging in SOLAR+ and placing in the closest window to generate 4x the renewable energy. On-board lithium polymer batteries store enough energy to power multiple devices from USB ports, wire-free device docks, and a wireless charging pad. A button on the front lets you know how much energy is stored in the batteries or easily access battery status on the Jenni app. Sign up today and get the latest updates on our first production run! Keep up-to-date on progress, and be among the first to own and use Jenni at home. You can also help us spread the word by sharing with friends and connecting online. Thanks for joining the Founding Family! We'll be in touch soon with exclusive updates and more information. *We're rapidly developing the product with feedback we receive from you, so aspects of the product may change.